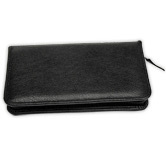 Put something intriguing and elegant in your checkbook when you choose personal checks featuring a letter 'P' monogram. Whether it represents your last name or holds a different meaning, this classic selection reflects your timeless taste. A subtle beige background and elaborate swirling scrolls create the perfect amount of eye-catching style. 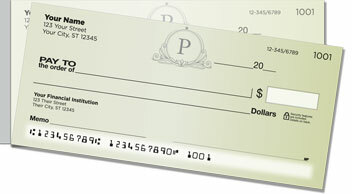 But what's extra special about these checks is the side-tear format. A shorter perforation makes it easier to remove checks without accidental rips and wrinkles. Order your very own P Monogram Side Tear Checks today! Get them with matching mailing labels.